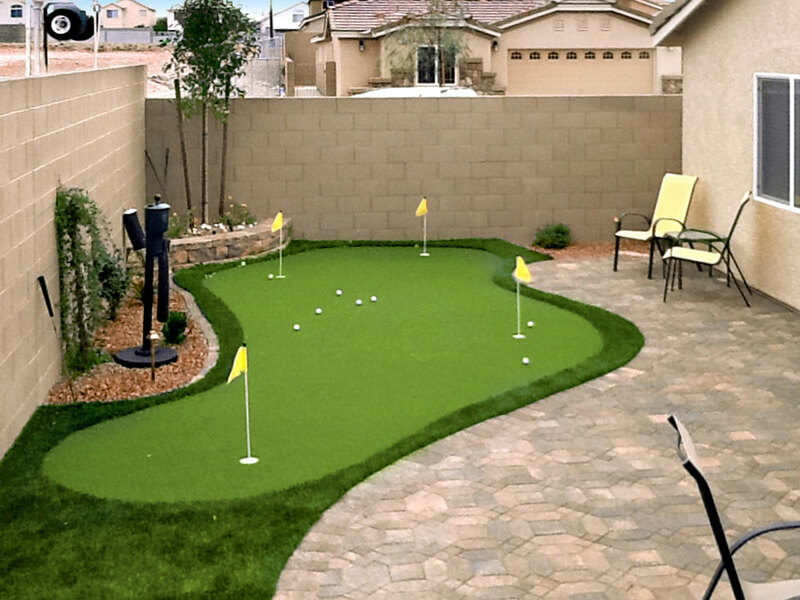 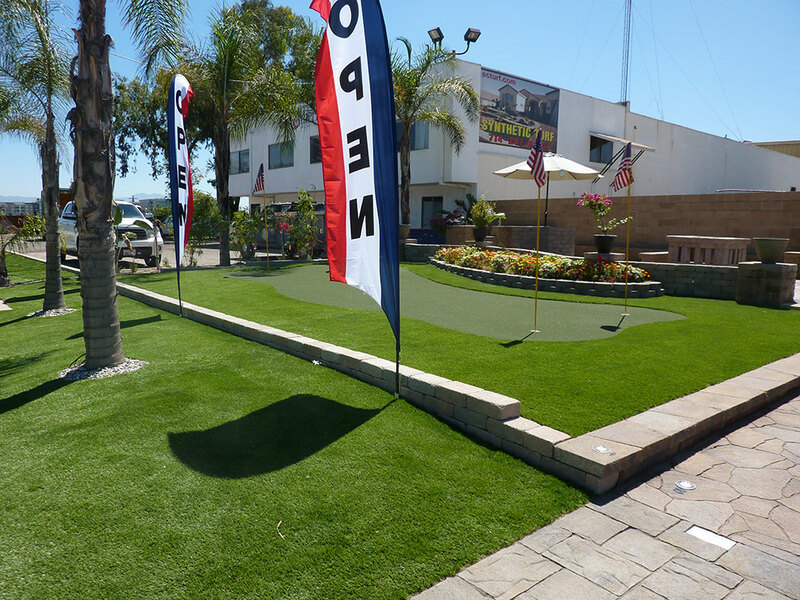 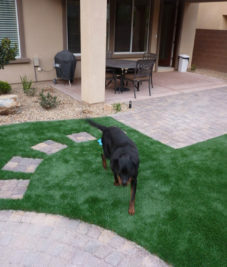 We install artificial turf in residential homes and commercial spaces in Las Vegas. 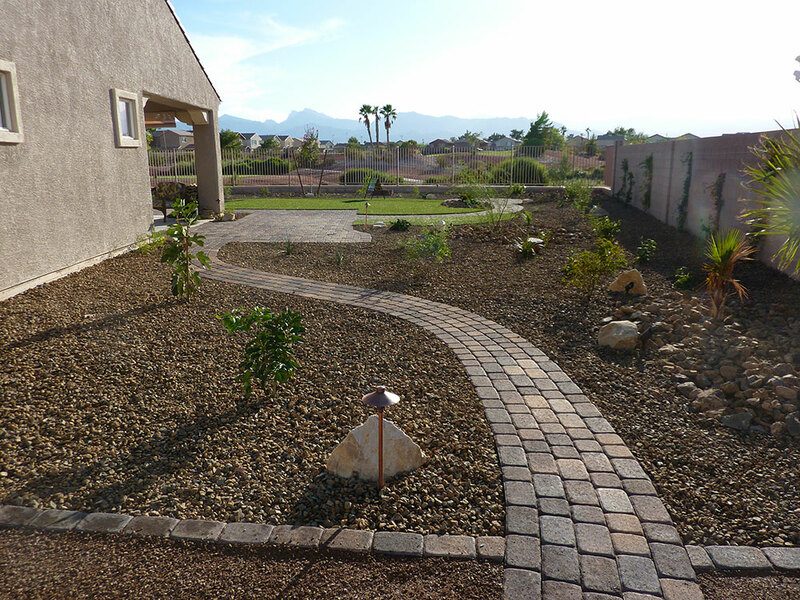 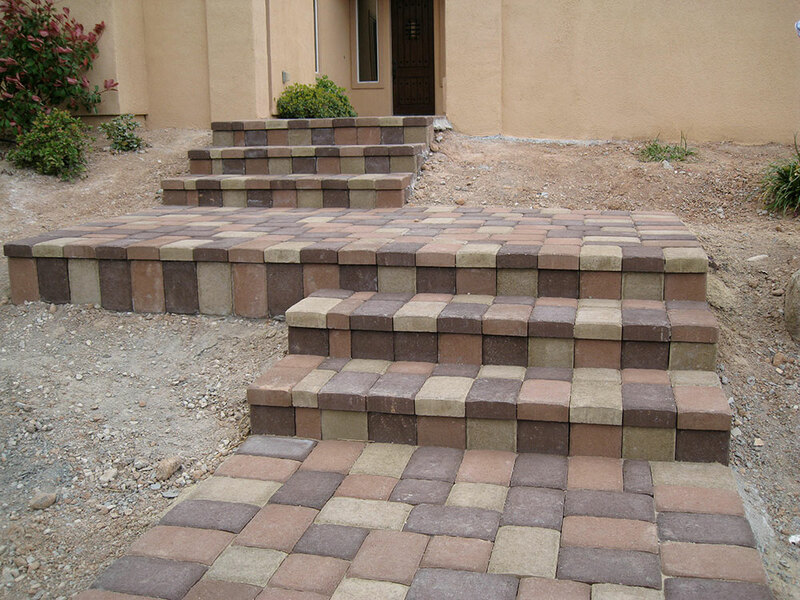 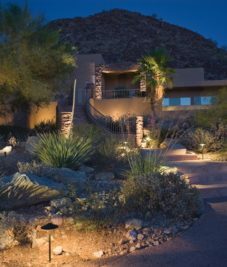 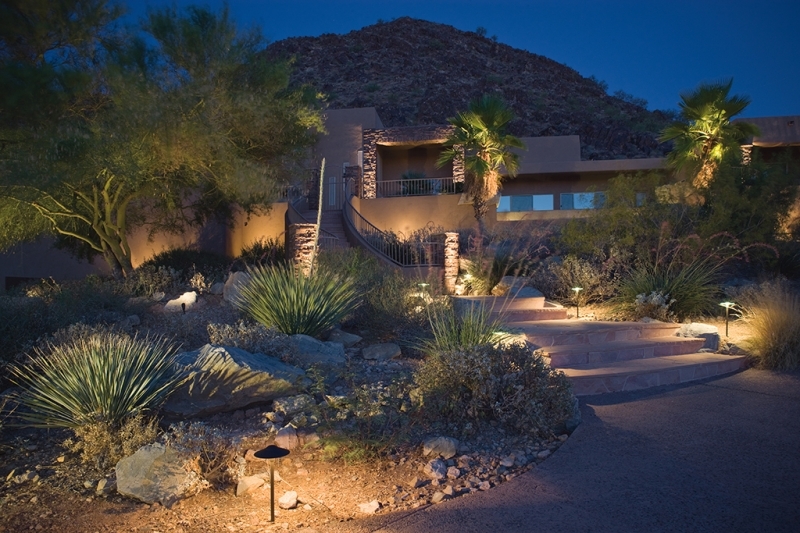 We are a professional, qualified landscaping service dedicated to making your desert outdoor space beautiful. 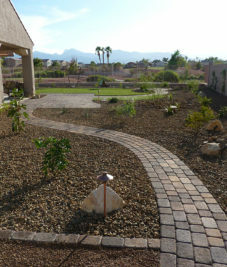 We create beautiful landscapes using water-smart elements, xeriscaping and water-smart plants. 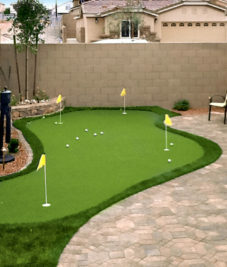 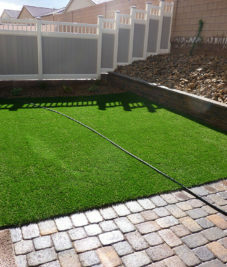 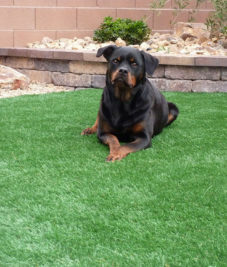 We are the premier artificial turf installers in Las Vegas, NV. 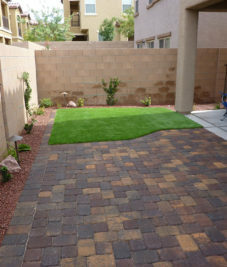 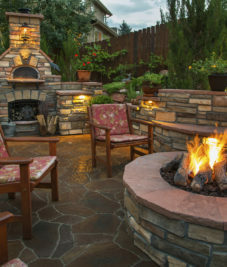 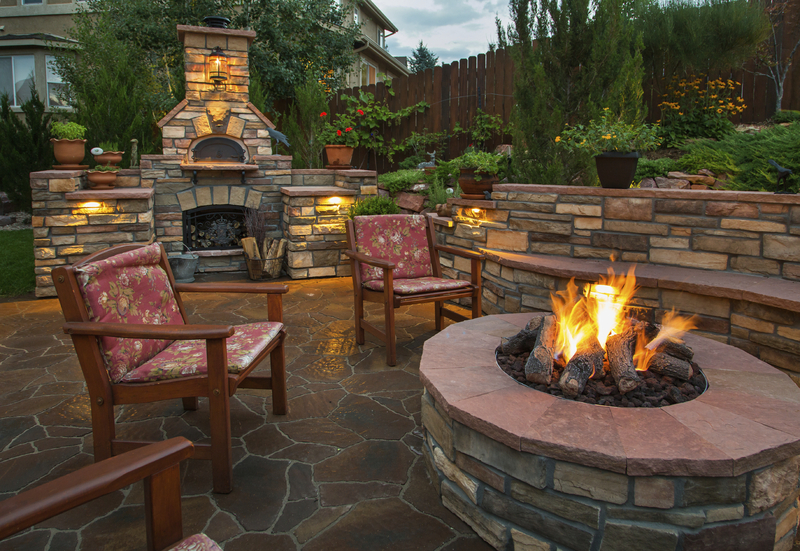 We live in a desert, but that doesn’t mean we can’t enjoy a beautiful and green outdoor space. 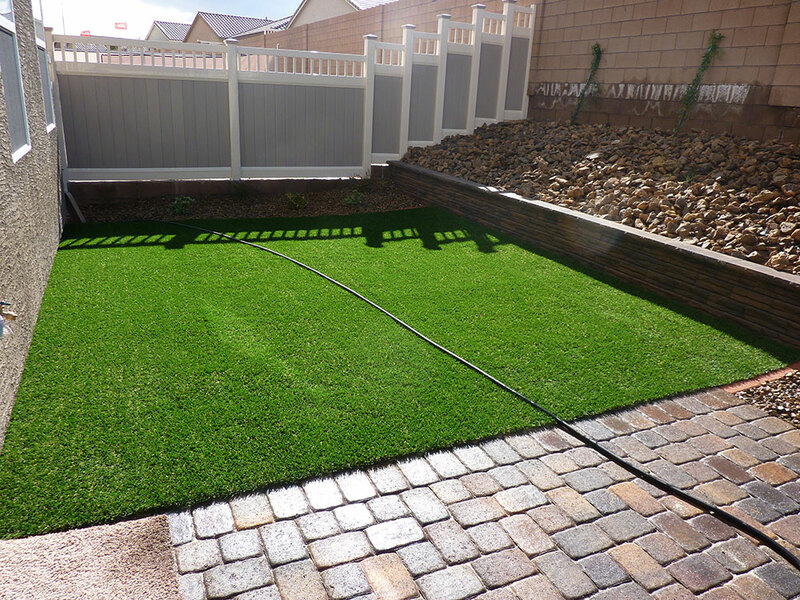 Desert Greenscapes specializes in providing local homeowners with the best artificial grass products and installations available. 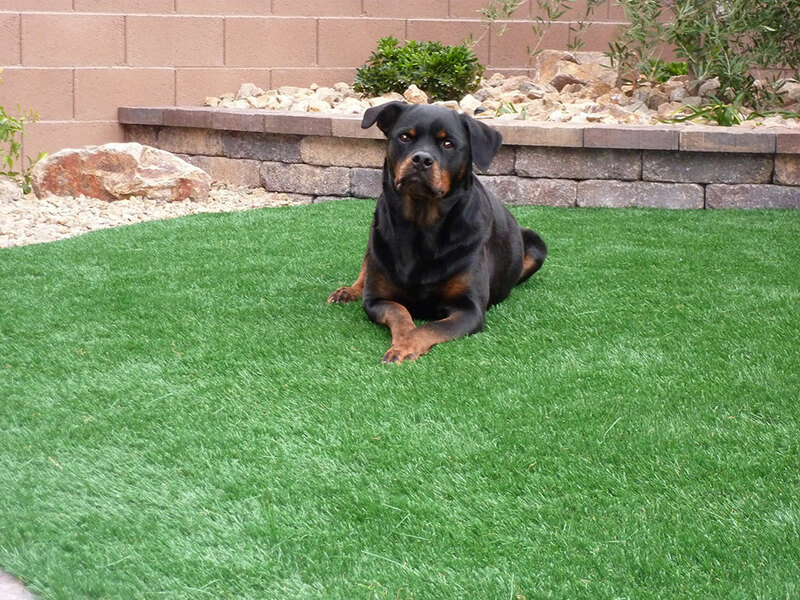 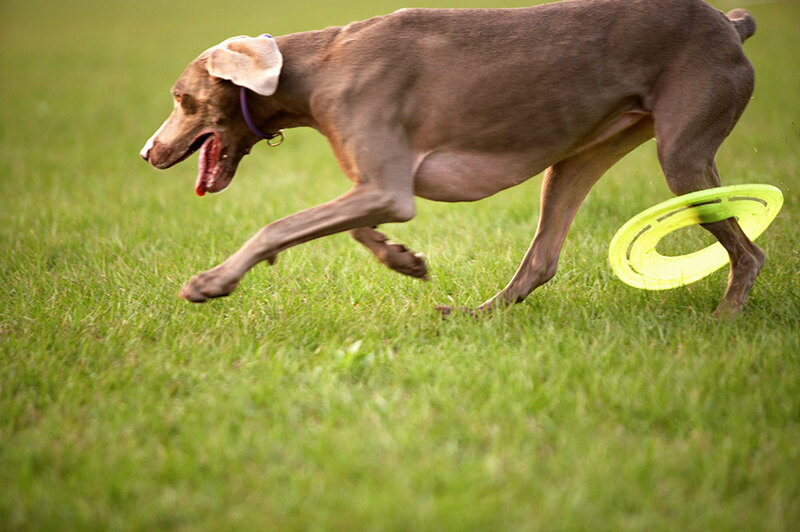 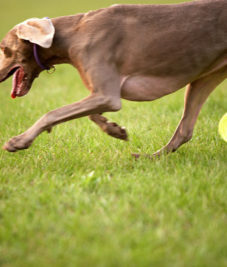 Synthetic grass, also known as “fake grass” or “synthetic turf,” is a water-efficient solution to keep your lawn looking plush and green all year long. 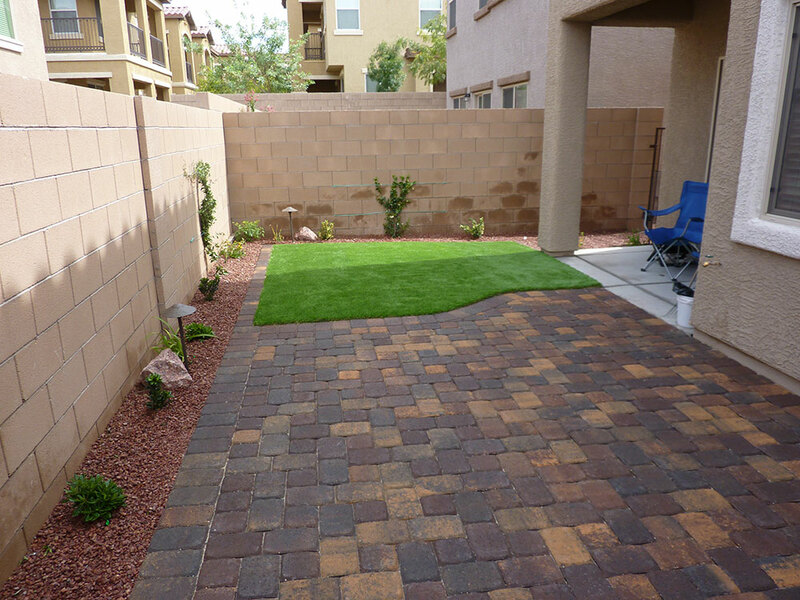 If you’re looking to transform your backyard, front yard, or even your business’s landscaping then give us a call! 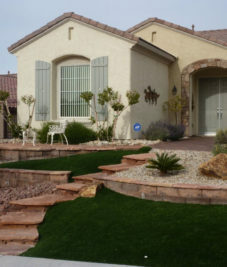 Our water-smart landscaping experts are happy to create a desert landscaping (xeriscaping) solution that is guaranteed to please. 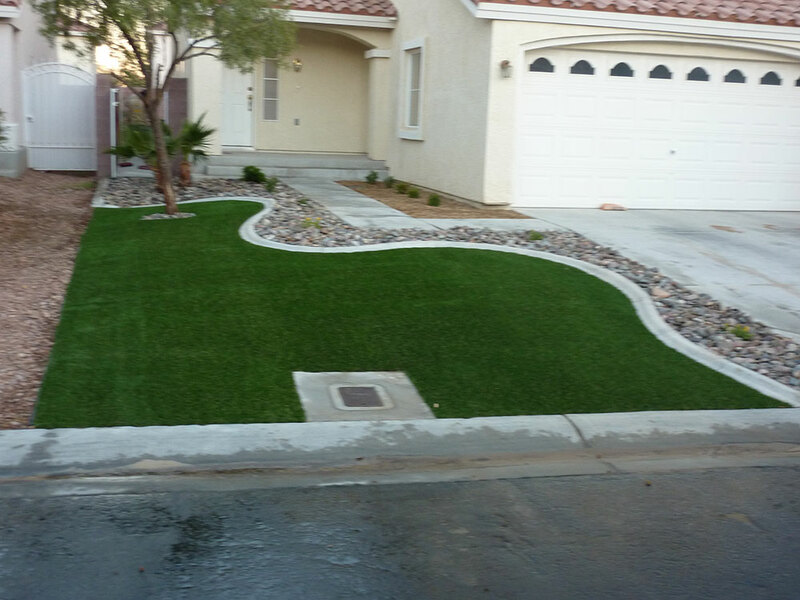 We go above and beyond the duties of a traditional artificial turf installer in Las Vegas as part of our efforts to satisfy you, and create a beautiful landscape in the process. 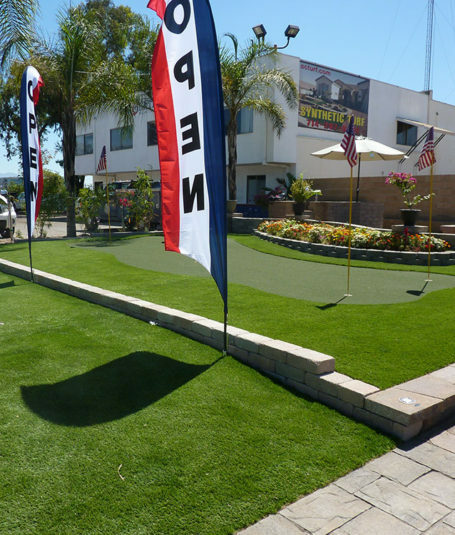 We install: artificial grass, synthetic turf, backyard putting greens, dog runs, desert plants, exterior lighting, landscape lighting, patios, driveways, walkways and sidewalks, retaining walls, custom outdoor kitchens and BBQs. 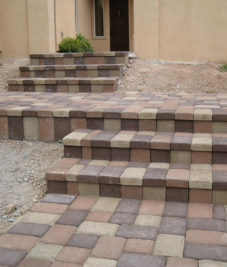 Our estimates are always free and our work is guaranteed. 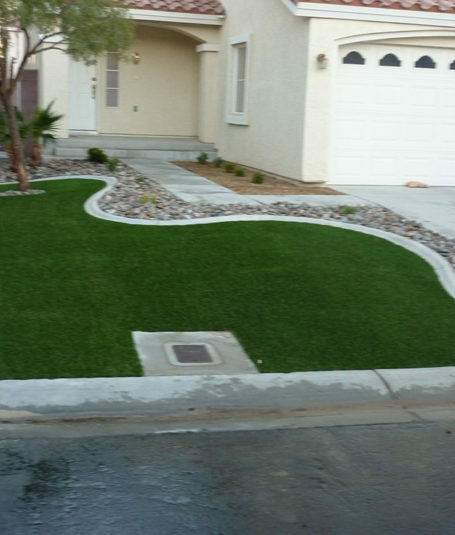 Our mission is to provide our customers with the highest level of quality water smart landscaping services. 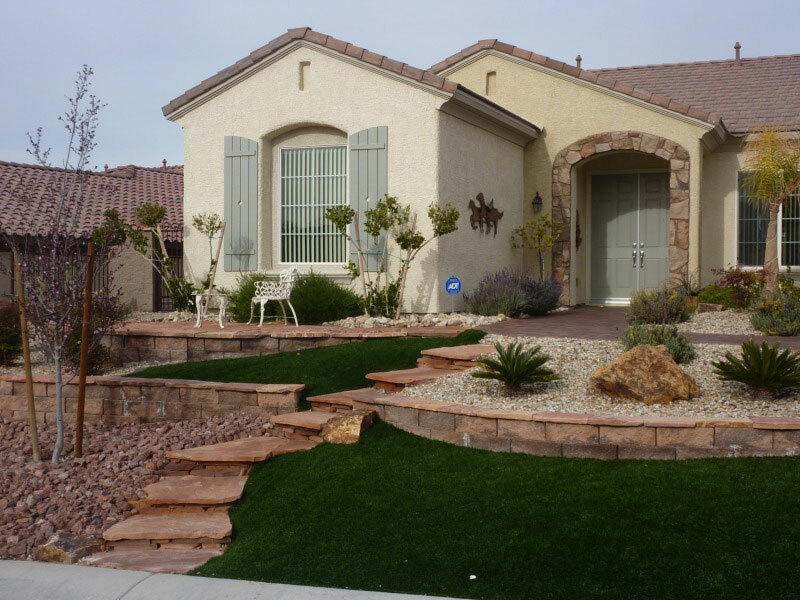 Our goal is to help Las Vegas homeowners conserve water while enjoying beautiful landscaping options. 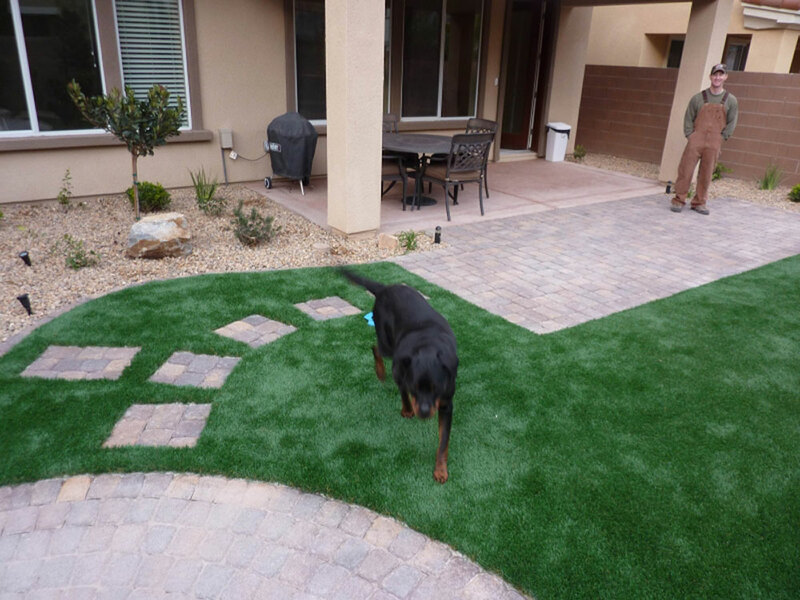 Our clients count on us to provide them with the best quality artificial turf, xeriscaping and water-smart landscaping materials. 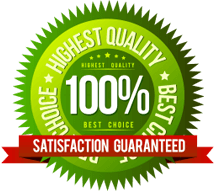 Our products and work are guaranteed for 10 years.